If you live in a large house, you probably find yourself struggling at times to use your Wi-Fi connected devices in areas that are located either far away from the wireless router or on a different floor. Dealing with a poor wireless signal can be frustrating because you’ll often have just enough signal to allow your devices to connect, but the connection speed is either horribly slow or you keep dropping the connection altogether. 1 – Run long Ethernet cables through walls, floors, attics and basements in order to deliver a wired Ethernet connection to a distant room. It isn’t always easy or cost-effective to run such a cable, especially if you have to hire someone to do the work for you. 2 – Use a standard Wi-Fi Network Extender to boost the existing Wi-Fi signal enough to reach the outer areas of your home. The problem with this approach is if you have to place the Wi-Fi Extender near the outer fringe of the signal footprint, the signal is already so weak by the time the Extender receives it that your data transmission speeds will probably be as slow as a sleeping snail. You can use an inexpensive Powerline Networking / Wi-Fi Extender Kit to provide fast wired and wireless connections to any part of your home without having to run any wires! These awesome devices are easy to install in just a couple of minutes, and they work typically extremely well. You can even use one of these kits to extend your Wi-Fi network to a detached garage or other outbuilding as long as the other building is connected to your home’s primary circuit breaker panel! 1 – Connect the Powerline Ethernet Adapter to your router with an Ethernet cable, then plug the device into the nearest electrical outlet. 2 – Plug the Wireless Network Extender into any electrical outlet in the remote area of the house where you wish to extend your Wi-Fi network to. That’s it – you’re done! Pretty easy, huh? After you have installed the two devices in the kit, you’ll be able to plug a desktop computer or other device with a wired Ethernet connection directly into the Wireless Network Extender. It’ll seem like you just ran a long Ethernet cable from the router all the way into the distant room! Even better, you will have a strong and fast Wi-Fi signal in that area as well! You’ll be able to connect your laptop, Wi-Fi enabled desktop PC, tablet, smart phone, game console and other Wi-Fi devices to your network with a reliable and fast Wi-Fi connection. There are a number of Powerline Networking / Wi-Fi Extender Kits to choose from, but the one that I recommend is the NETGEAR PowerLINE 1000 Mbps WiFi, 802.11ac, 1 Gigabit Port – Essentials Edition Kit. This particular kit has been in use in homes and businesses all over the country for several years now, and it tends to work better than many of the other models that are on the market. Bottom line: You don’t have to run cables throughout your house or put up with sluggish Wi-Fi connections in distant areas of your home. You can simply install one of these awesome kits and quickly have fast and reliable Internet connectivity wherever you need it. 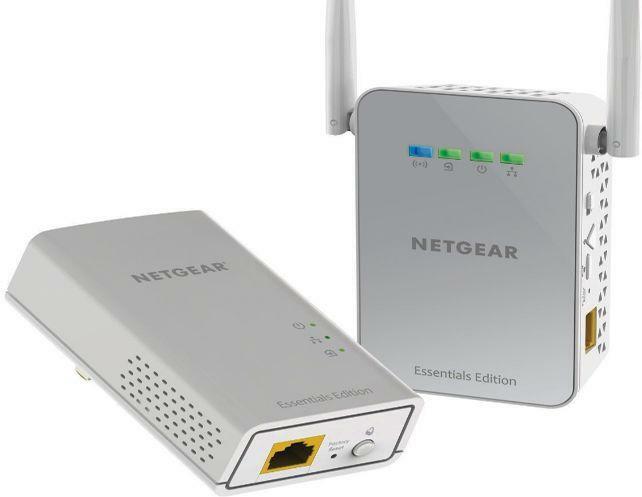 Click here to read more about the NETGEAR PowerLINE 1000 Mbps WiFi, 802.11ac, 1 Gigabit Port – Essentials Edition Kit on Amazon, including dozens of user reviews. Bonus tip #1: “Netgear WiFi Analytics” will help you tune your WiFi network for better performance. This fantastic app is free, and it works with virtually any router. Click here to check it out!